With the back to school shopping season behind us and holiday right around the corner, retail marketers are in last-minute planning and execution mode. 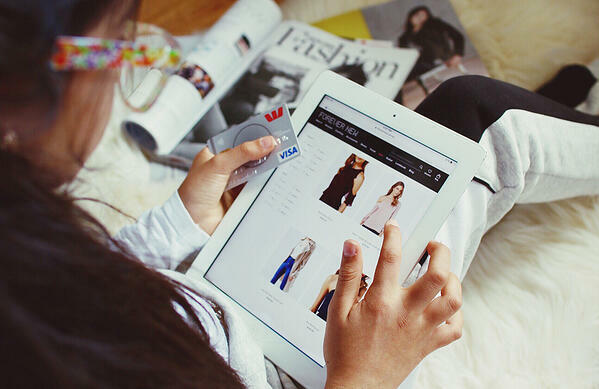 To create shopping inspiration in consumers, several retailers are actively leveraging the catalog as part of their omnichannel strategy during Holiday 2018. It’s important to understand the value of the catalog and why retailers are investing in this channel as part of their campaign and program efforts. In a recent survey conducted by Multichannel Merchant, retailers shared the top reasons they’ve turned to the catalog as part of their marketing strategy including: branding, influences mobile and web traffic and purchases, helps with customer retention and reactivation and is leveraged as a prospecting tool while helping to drive in-store traffic. The catalog creates business value because it introduces consumers to your product in a tangible way. Direct mail is one of the best vehicles to help unknown brands become known. Look at Cabela’s, LL Bean and Pottery Barn. These three brands started as direct-to-consumer catalogers first and then grew to household names with brick and mortar and an online presence. And today, these brands along with hundreds of others, have excelled at integrating their direct mail strategy into their other channels. Let’s take a closer look at Pottery Barn. Have you ever visited a Pottery Barn retail store? The retailer sets up and displays their storefront similar to the catalog. This ‘look alike’ approach removes confusion and ensures that the consumer is able to find the item they first saw in the catalog. Additionally, throughout the store they have kiosk stations for customers to place orders while shopping in-store. The retailer does not keep a lot of inventory in-store, but they do offer free shipping if the order is placed via a kiosk. They’ve taken a true omnichannel approach with the catalog acting as a strong influencer. In fact, several pure play online retailers now have a catalog. These online-only merchants are now reaching new audiences with direct mail and are driving consumers to their websites. You can’t always get a consumer to see or click on your digital ad, but you know they have to touch the catalog. They may browse through it, and even if they do not make a purchase, the catalog has now instilled an image of your brand into their minds. When they see your next catalog, they will be more aware and their time spent browsing may increase. And, when they view your brand in the online channel or see a digital ad, there will be more recognition. When properly reached, the probability of response is much higher. Take for example Bonobos, a men’s apparel store. Founded in 2007 as an online only retailer, the brand decided to add the print catalog to its marketing channel mix in 2015. Today, about 20% of Bonobos’ new customers are now placing orders after receiving the catalog and they spend 1.5 times longer shopping on the brands’ website versus those who did not receive a catalog. Additionally, Amazon recently announced that they are publishing a toy print catalog for the holiday season. This online only powerhouse has expanded its channel marketing to include both the storefront and print. It’s a great example of how a ‘true pure play’ has realized the value other channels bring to the marketing mix. As Holiday 2018 approaches, expect to see more brands embracing the catalog and direct mail as part of their omnichannel strategy. Have you considered the role of the catalog for your business?